For many of you this may be the first time you have ever heard of Raptr, and that’s no surprise given that it was in Private beta. It officially launched today, and we’re here to tell you why it matters, and why you should all join up. Raptr is, at it’s heart, a facebook for gamers. It already has 8 million members strong and it allows you to connect any of your online gaming accounts to it to track achievements, show them off cross platforms, time played games, and naturally to do all those facebooky things everyone loves. You can connect your PSN account, Xbox Live, World of Warcraft, Steam, Windows Live (yes, the messenger), and naturally any future network Nintendo sets up (we assume we’ll be getting an actual network with Wii 2). You are able to insert your Wii code however so friends can find you via that method on the network. As I said, Nintendo support comes when Nintendo decides to stop ignoring a crucial online tool. More info after the jump. In addition to all the facebook related stuff (yes, you can also connect it to your Facebook and Twitter accounts), you will be able to actually see a news feed for whatever game you “follow”. This is similar to facebook’s pages, but instead of following a page (say, Zelda Informer, 1up, etc) you would follow a game, and ALL news posts posted on the site for that particular game appear in a feed. You are then able to up vote and down vote all of the news, which naturally makes it appear higher on peoples feeds, or lower. You can view upcoming news, etc. Think of it like Reddit + Facebook + Gamer specific awesomeness. 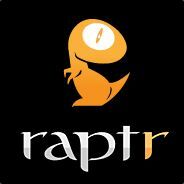 We have been in the beta side for a few days, so naturally we want you to all join and “friend” our official Raptr Account. More important;y, we just want you to have a grand time tracking all your gaming profiles in spot, while having a blast with all the gaming related features. We naturally want you to follow all the Zelda and Nintendo related material so you can see our news posts and give them a nice up vote if you like them! Remember, upvoting is pretty much like “sharing”! Just enjoy yourselves, and we look to continue to support Raptr in the future.